Irish football great Johnny Giles launched the John Giles Foundation in 2010 to "create stronger, safer & friendlier communities throughout Ireland; making opportunities a right, not a privilege". difference the sport was making to our community. Today its a different story, with different rules, and now more than ever people at risk need our support." 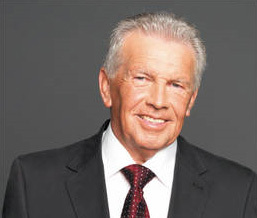 John Giles mission for his foundation is to "facilitate positive social change by using the power of football to build community cohesion, promote health, and encourage lifelong participation and learning". The Foundation aims to fund projects to promote cohesion within communities, enhance health, and to foster lifelong learning and social participation. It will use football clubs, schools, and community groups to channel its' funding to achieve the Foundations' aims. All of the proceeds of his autobiography, John Giles - A Football Man which went on sale in late 2010, go to the John Giles Foundation. If you wish to support the foundation and enjoy a great read you can buy a copy of his book in most good bookstores. The John Giles Foundation is the organiser of the Walk of Dreams, which is a national campaign to raise funds to support schools, clubs and other community organisations. The Walk of Dreams provides an opportunity for every club in Ireland to demonstrate the relevance and importance of football throughout Ireland. Clubs that partake in the Walk of Dreams will receive 50% of all monies raised with the other 50% going to the John Giles Foundation. To find out more about the see the official Walk of Dreams web page. If you would like to find out more information or for the latest news about the John Giles Foundation please visit the Foundations' website.